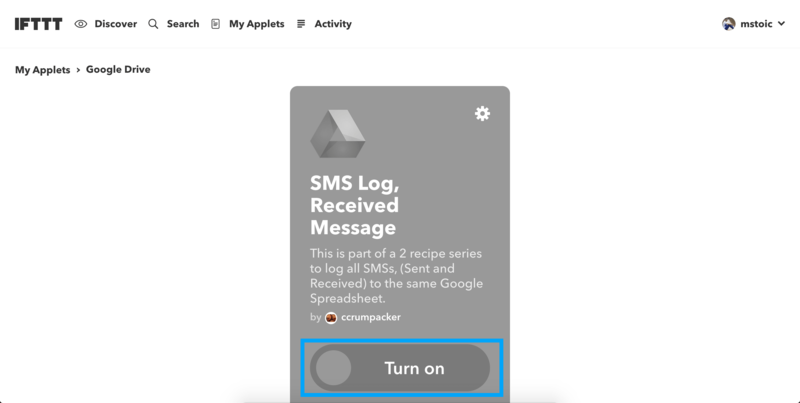 If you are looking to backup all your incoming and outgoing SMS messages and preserve them for future reference, then you can do that with IFTTT, a simple service that lets you connect different services together. IFTTT is short for If This Then That, which works on a simple method of trigger and action. IFTTT consists of Applets, which contains the trigger and the action. Today, we will be using two applets, one will log the Received messages, and the other will log the Sent messages. Please note that these messages cannot be restored back to your mobile phone using this method. 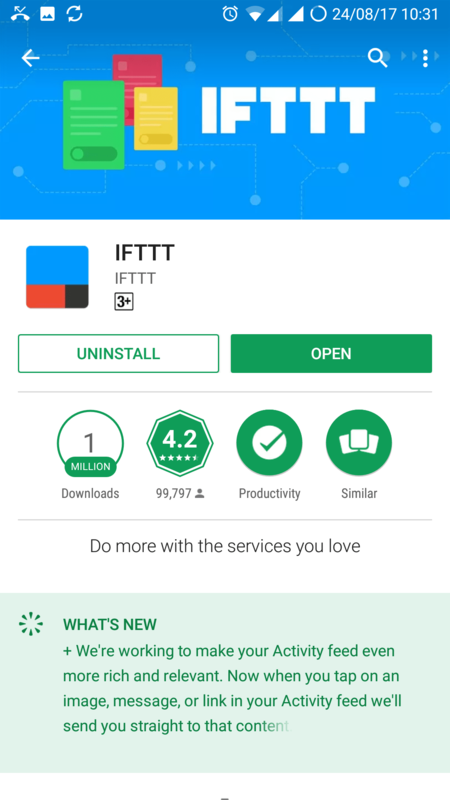 First install the IFTTT app on your Android device. Next, login to the app with your Google account. Once logged in, open the IFTTT website on your PC. Now login with the same Google account with which you signed in on your mobile. Now open Received messages applet and click the “Turn on” button. Do the same thing with Sent messages as well. Now open the IFTTT app on your mobile, and go to the My Applets section. You will see both the applets there, and your text messages will start backing up on Google Sheets. Everytime you receive or send an SMS, it will be added to the bottom of the Google sheet. Seamless: It is an install and forget service. Once you have set-up the backup, you can just leave everything to the service. Other Features: The app backups up your text messages beautifully, but don’t think it can do only that. 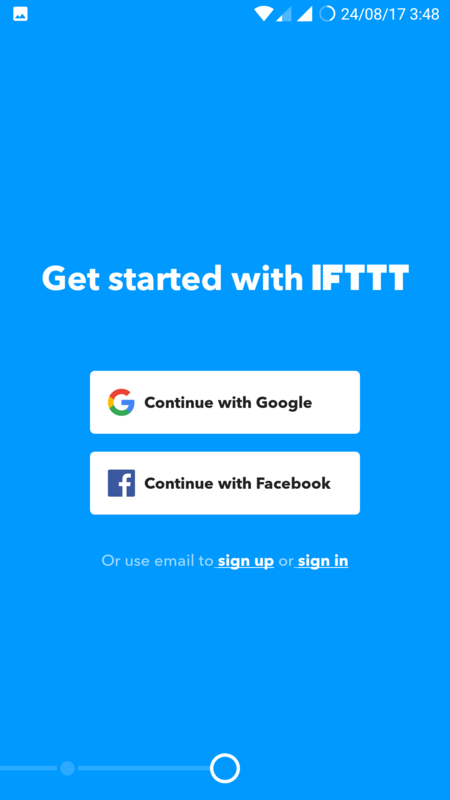 IFTTT consists of hundreds of great applets and there are dozens of them only for your Android device. Just dive in and explore. You can even upload files to Dropbox via Email using IFTTT. Immediate Backup: Your SMS messages are backed up as soon as you receive them. The only condition is to have a working internet connection on your Android mobile. Searching – You can search for a message, a number, or a contact very easily. Just press the Ctrl + F keyboard shortcut, and type what you are looking for. Monthly Archives: IFTTT saves messages on Google Sheets. By just changing the sheet name, you can make it backup messages in a new sheet. This way, you can create a new sheet at the start of every month and you will have your messages archived by month. Filters: The power of filtering comes with Google Sheets. You can filter the messages on the basis of contact/number. You can even use the Import Range and Query functions to get messages from a particular person/number in a new sheet automatically. Sharing: As individual Google Sheet can be shared with anyone, you can share your SMS sheet with anyone you like. This is helpful for sharing One Time Passwords as well. Free: IFTTT and Google Sheets are both free services, then why not utilize these free platforms to backup all our SMS messages. I use Google Sheets for my work extensively. Having all my text messages saved securely in Google Sheets, as well as having all the power of Google Sheets, makes it simply the best backup solution for my messages.